Every couple has a love story. Let me tell yours. I believe in love at first sight and a love that withstands the test of time. That’s why I love getting to know you and hearing your vision for the wedding day. When I learn your dreams, it enables me to create authentic and fun images that reflect the real you. 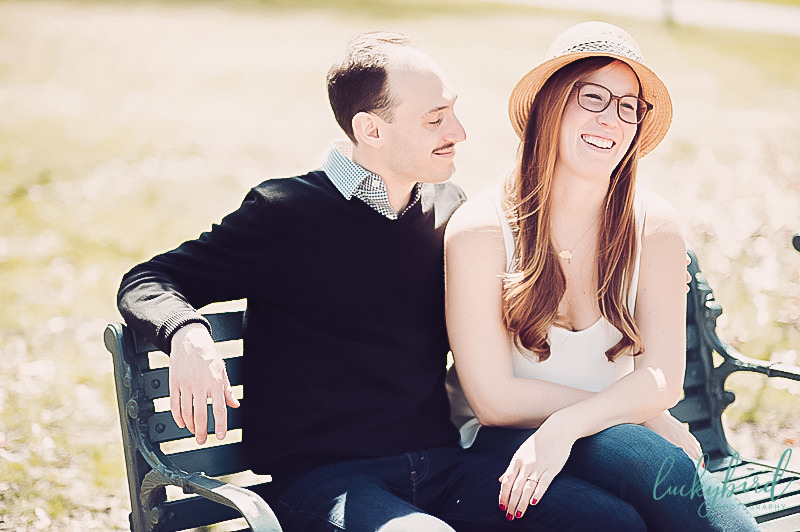 I had the pleasure earlier this month of photographing Katie and Zak. I traveled to Columbus, Ohio and spent the afternoon floating between a few locations in the area such as German Village and cute spots close to their apartment. 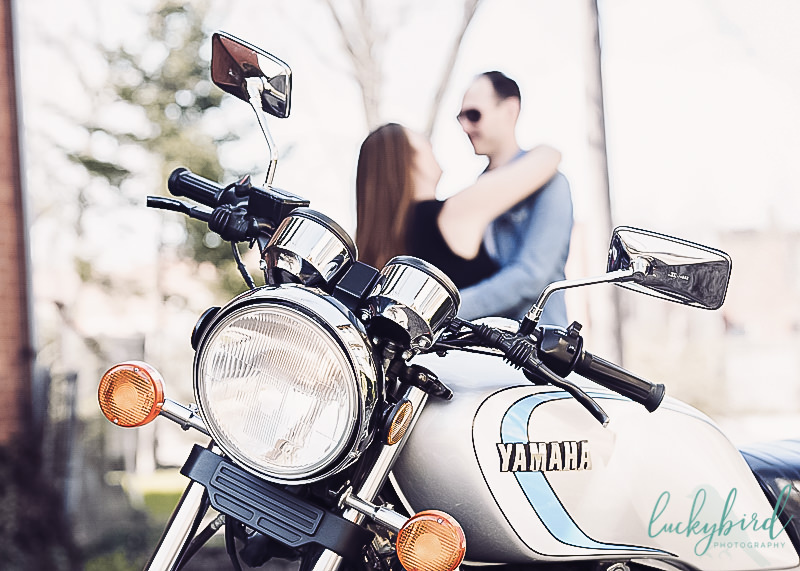 It was a beautiful, warm, sunny day for their engagement session and it actually got HOT walking around. 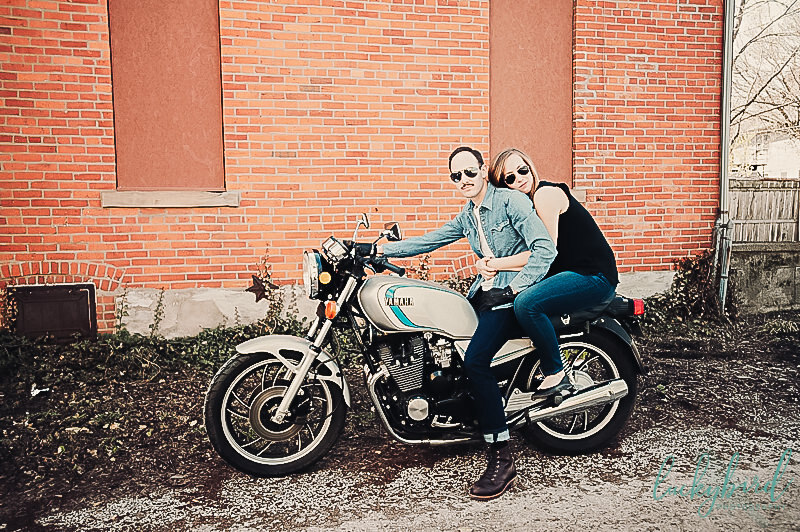 We ended the session with some Columbus, Ohio motorcycle engagement photography. 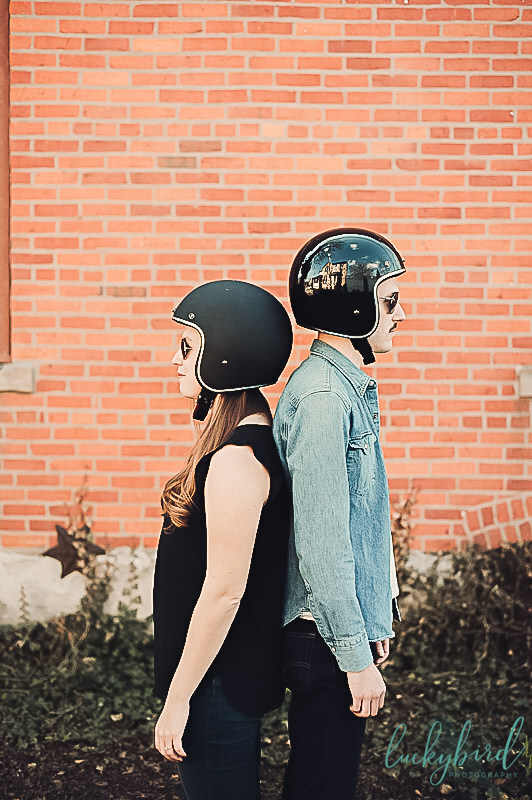 As a result, they had some really unique engagement photos! Zak has quite a fantastic motorcycle that photographed soooo well. I mean…just look at these two. Adorable. 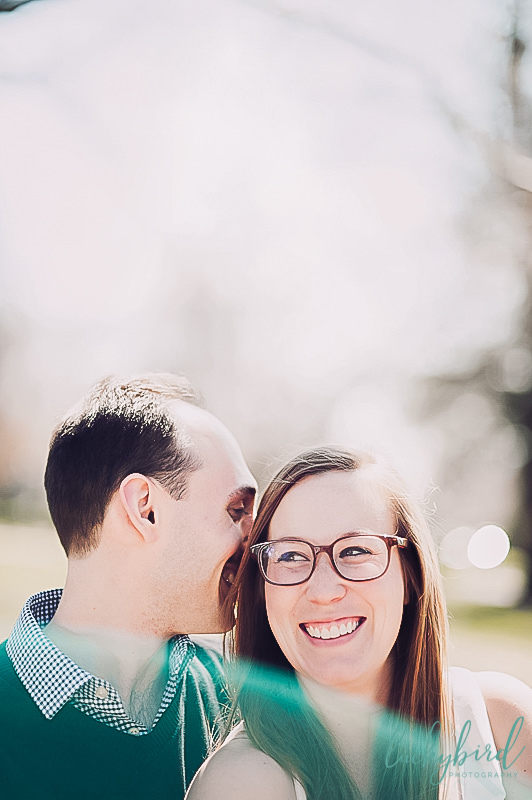 We LOVED Katie and Zak’s Columbus location choices! We went into some beautiful areas of Columbus, hopping into their car between locations to moving on to the next one! I travel quite frequently to different areas outside of Toledo (sometimes just for a small travel fee, depending on location) and hopping in a single car gets us all in one place without traffic, getting lost, parking spots close to each other, etc. Plus…..I get the perfect chance to learn more about our couples! 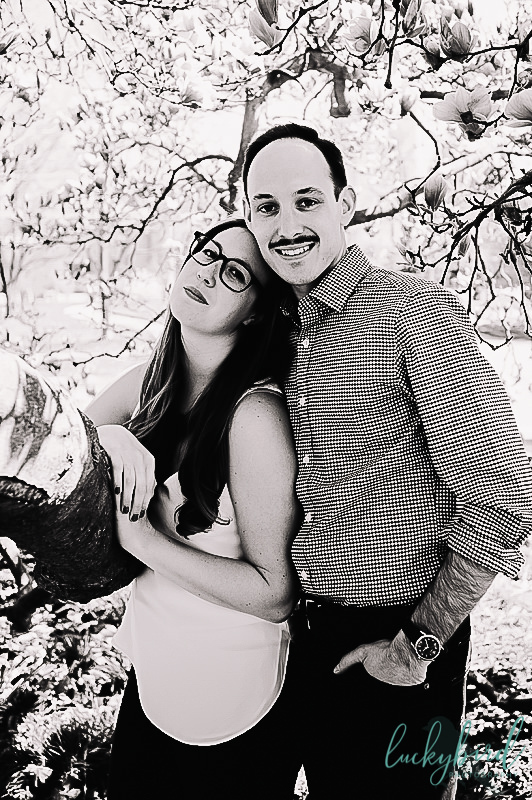 We were able to get a really unique photo up in this tree at a park. Katie loves film and owns a film camera herself, so I tried to emulate more of a film look in some of her engagement photo edits. 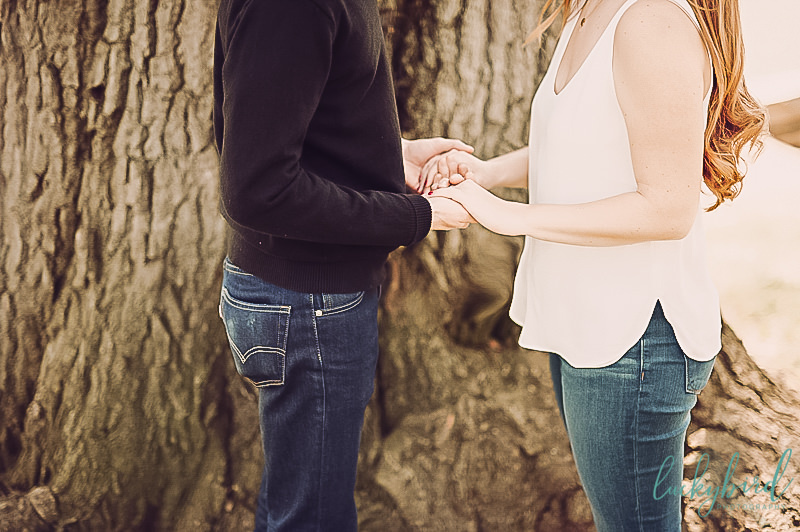 We had beautiful blooming trees, flowers, green grass…perfect weather for a spring engagement session! P.S…..they own a pretty amazing motorcycle. 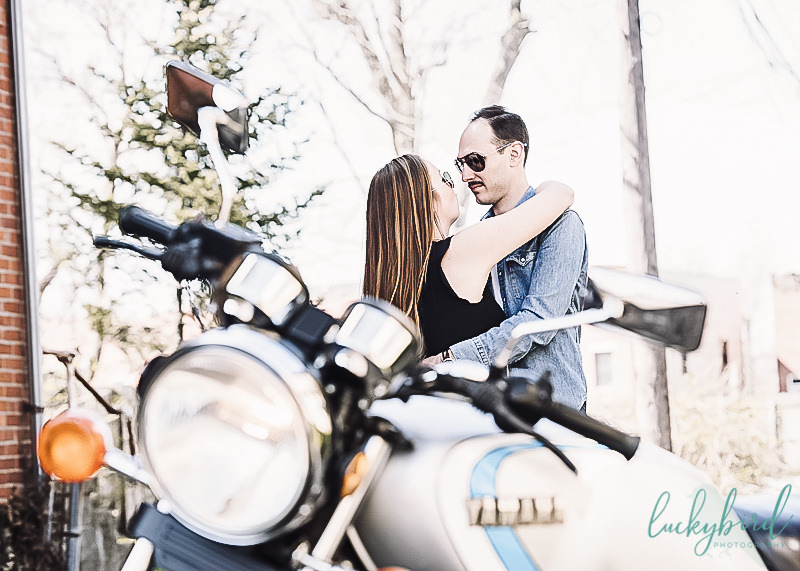 Here are some of our favorite engagement photos from their session! 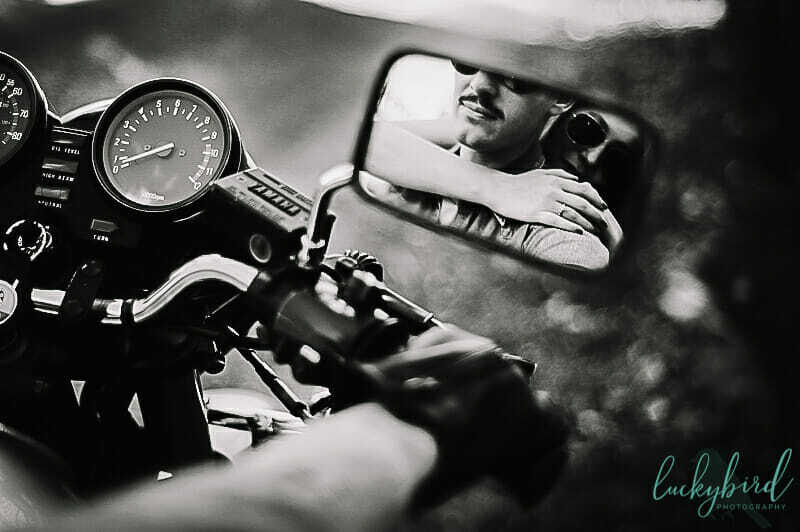 I loved the outfit change complete with aviators and the romantic photos that were captured on and around their bike. Thanks for the fun trip around Columbus, guys! I had so much fun photographing your engagement session!